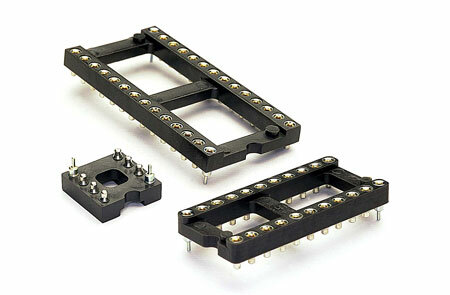 Mill-Max introduces surface mount, stub tail, DIP sockets with alignment pins for hand placement. Unique floating contacts compensate for effects of unevenly dispensed solder paste. Two corner alignment pins (power and ground positions) permit manual placement. High temperature insulator can withstand infra-red reflow and vapor phase soldering.